As digital tools have offered users greater efficiency and an additional degree of autonomy when it comes to managing their health, an increasing number of consumers are making the transition to this emerging mode of healthcare. 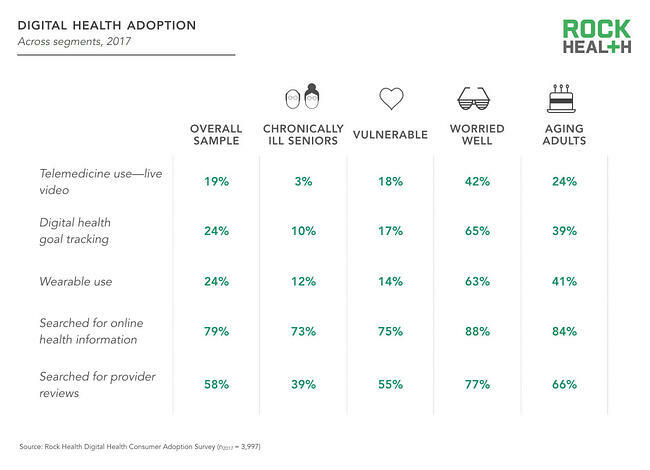 A Rock Health consumer survey offers an in-depth analysis of digital healthcare as it pertains to consumers, which can provide perspective on upcoming employee wellness trends. 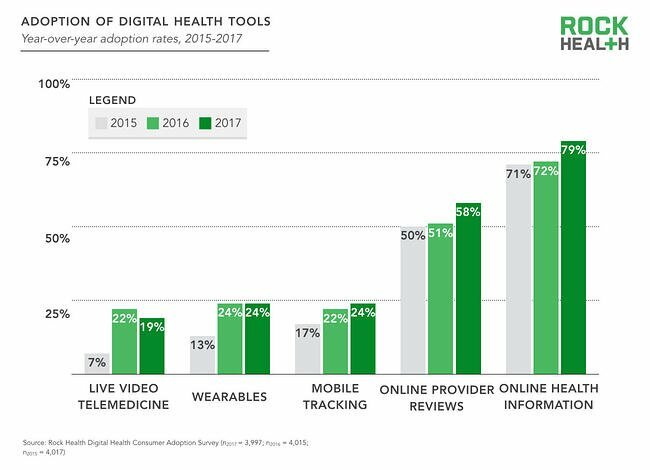 According to the survey, the percentage of consumers who have adopted at least one digital health tool, whether it be telemedicine, wearable device, mobile tracking, online provider reviews, or online health information, increased from 80% in 2015 to 87% of 2017. This suggests that the average employee is most likely familiar with at least one form of digital health tool, which means the learning curve will be less of a barrier for employers introducing these technologies to the workplace. It is important to consider, however, that different subgroups of the population are adopting digital health technologies more readily than others. A younger workforce, in a general sense, will be more familiar with emerging technologies than their senior counterparts. When integrating a digital aspect into an employee wellness program, employers should take the demographics of the given workforce into consideration. As it relates to employee wellness challenges, the data from the report suggests that about a quarter of employees are familiar with wearable devices and/or mobile tracking apps. This metric should serve as a baseline for engagement in an activity challenge, and employers should adjust their company baseline up or down based on demographics noted previously. Employers are constantly searching for the best and most enjoyable ways to improve the health of employees, and digital tools offer a good solution. 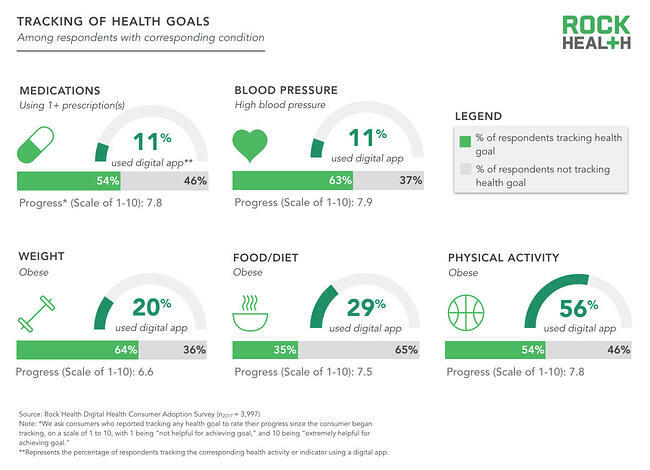 According to user feedback, digital health tools offer a high degree of customer satisfaction; 69% of individuals who digitally tracked various health goals reported making progress or achieving their intended goal with these devices. It is reasonable to assume that technology successful in the general consumer market will likely be successful amongst employees in a workplace wellness program as well, especially when adjusting for additional resources that will be available to employees (e.g., rewards, education, support, etc.). 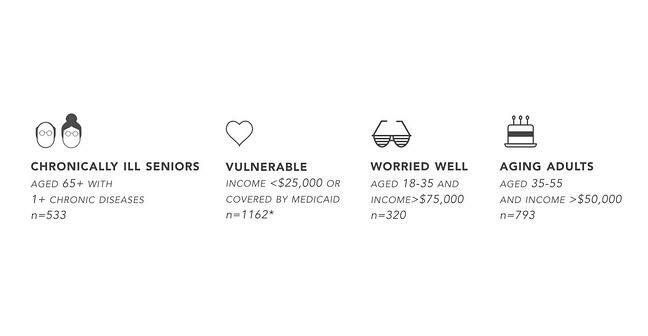 The report found that those with a self-reported health condition are more likely to track health goals; however, most are doing so without the help of digital health tools. For example, 63% of respondents with a corresponding condition reported tracking their blood pressure. Of the 63%, only 11% use a digital app for tracking. The goal of any employee disease management program should be to target individuals with health conditions who need assistance in making healthier choices. The emergence and utilization of digital health tools in the workplace offers an enormous opportunity to better serve this population, making it easier for them to track their health goals and progress. 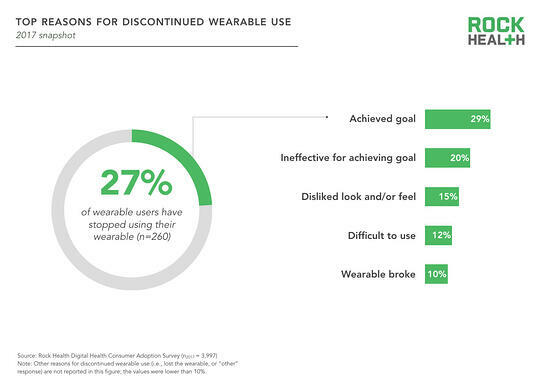 Although users report high satisfaction, discontinued use of wearable devices threaten sustainable engagement and long-term impact. Interestingly, the top two reasons for discontinued use are success in achieving a goal and failure in achieving a goal. In order to ensure long-term usage, employers should encourage participants to set multiple, reasonable goals that change over time. Like any wellness initiative, adoption of digital health tools must be maintained in a way that enhances user experience and promotes enjoyment. Maintaining a relationship with users is key. 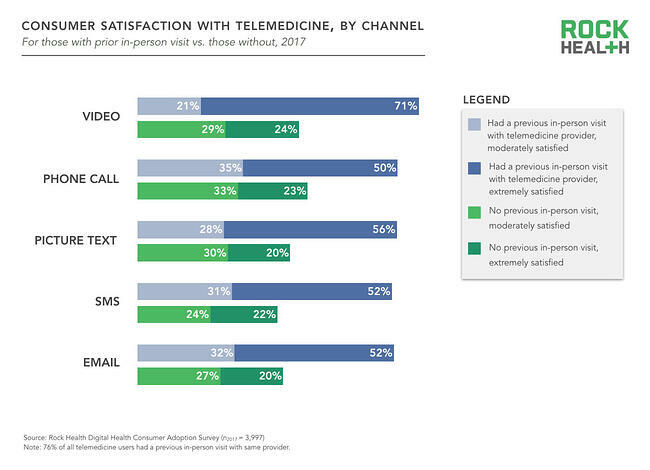 According to the survey, users of telemedicine were much more likely to report satisfaction with their experience if they had met the physician in-person prior to initiating the digital relationship. In fact, 92% of individuals reported satisfaction with the service when they had met their correspondent initially in-person, while only 53% of individuals reported being satisfied when they hadn’t met the physician prior to connecting digitally. Although this finding doesn’t explicitly pertain to an employer-employee relationship, the same implication applies: when there is a personable relationship behind a service, there is a higher likelihood for user satisfaction. 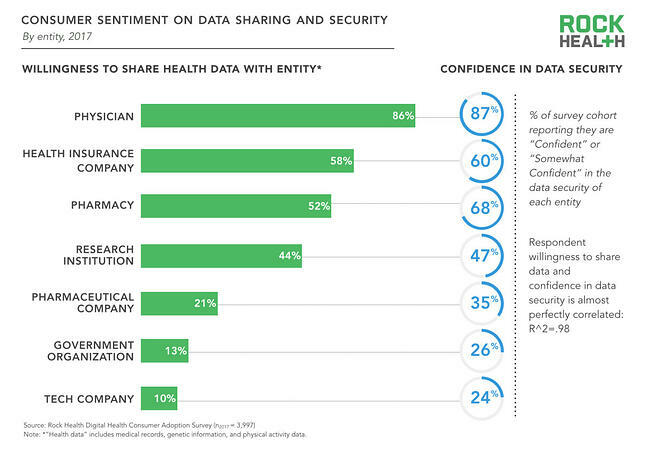 Respondent willingness to share health data with an entity is correlated with confidence in that entity’s data security. This may serve as a barrier to employers trying to initiate a wellness program because most programs require some form of data tracking, making data security incredibly important in driving engagement. Moreover, there are two types of data typically requested by these platforms: health data and lifestyle data. Health data tends to be more sensitive, encompassing clinical aspects of individual health like biometrics. Lifestyle data, on the other hand, encompasses aspects of daily behavior that individuals are more likely to share freely, such as step counts. This should be taken into consideration when an employer is seeking maximum participation within a wellness program. Regardless of the type of data in question, the organization should make sure to select a vendor who will respect their participants’ data security and privacy. Digital healthcare is a booming industry, and an increasing number of consumers are adopting these technologies. The transition will likely impact the general perceptions and expectations regarding healthcare, and it is imperative for businesses to understand the details and implications of the trend as it pertains to employee health. Organizations should take advantage of this technology as an effective way to promote wellness in the workplace.